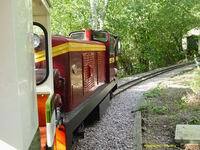 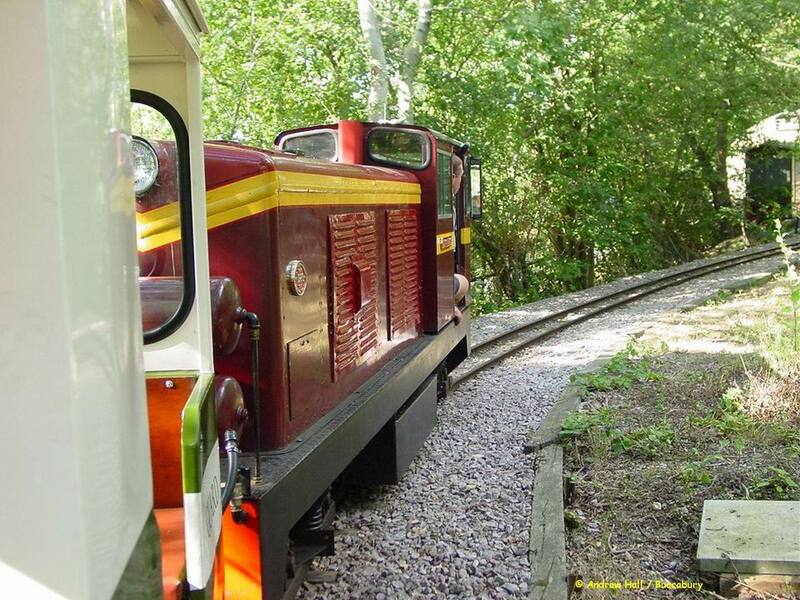 Ruislip Lido Railway - Woody Bay Station. 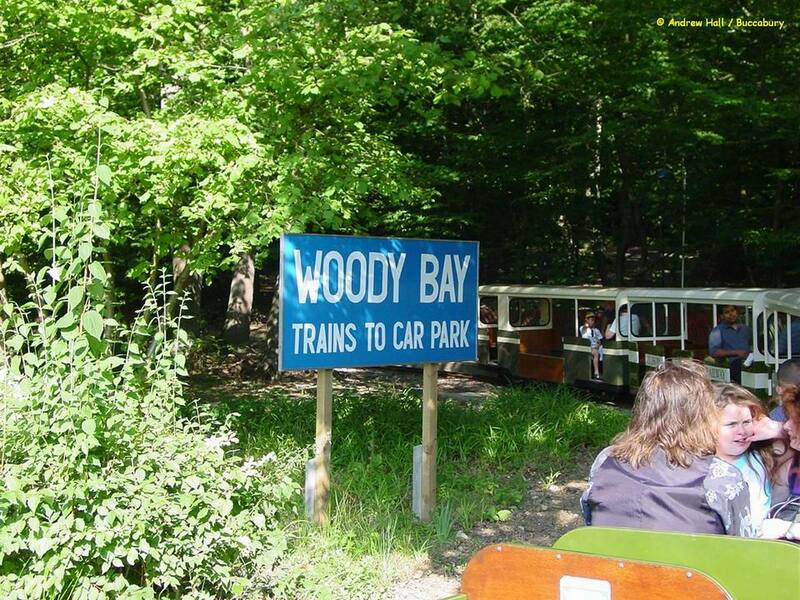 A view of the Woody Bay station name board. 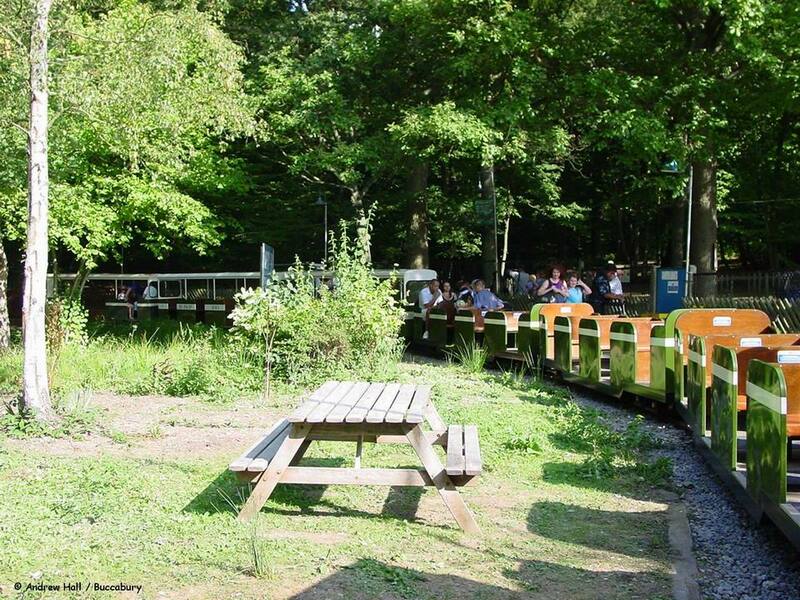 the oldest station on the line. 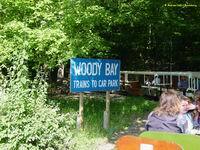 "Lady of the Lake" departs from Woody Bay to return to Water's Edge.